Summer beauty: redefine and enhance with a warm radiant glow. We found the sweetest summer contour kits from Mally with a combo of bronzers, blushes, and highlighters to create a little bronzed effect while illuminating your natural features. 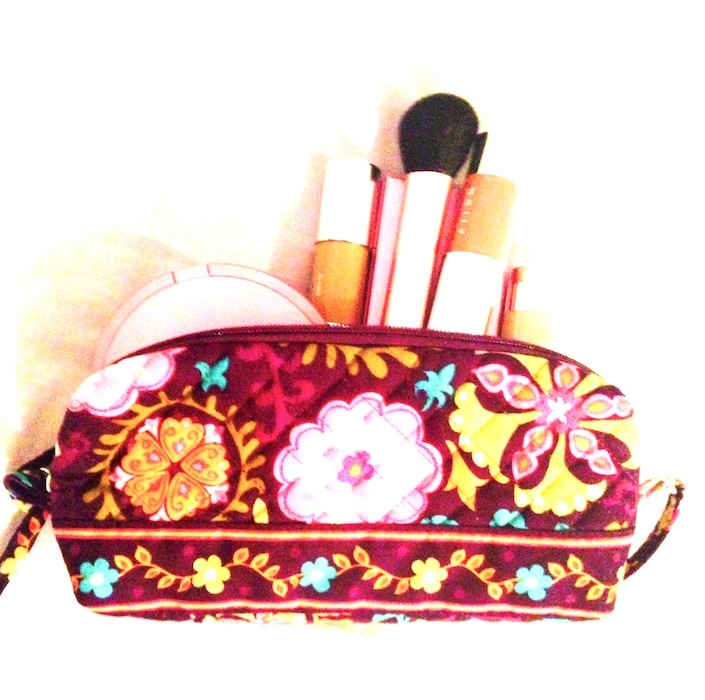 This set of fab summer make up deserves its own special spot, we paired it with our favorite quilted patterned small make up bag from Stephanie Dawn. Like applying make up, Mally’s Shimmer, Shape, and Glow Face Defining System is the ultimate contour powder trio. For a signature Hollywood glow, first use the shimmer powder, which allows your cheekbones to become illuminated and highlighted. To restructure the face, the shaping powder softly brings out a sharper jawline, smaller nose, stronger cheekbones, and an overall thinner face. Finally, the glow powder gives the face a subtle and soft warm flush in the cheeks. Comes with two brushes too! The (3-Pc) Face Defining System is an easy way to achieve Mally’s signature look: luminous skin, blushing cheeks, and softly defined skin. To achieve your own glamorous glow, first apply the Shimmer face pencil at the top of the cheekbones to highlight. Next, apply the Shape pencil and blend for facial definition. Apply the Glow pencil last on the cheeks for a youthful dewy pink. Because the face pencils are wide, the contouring process takes just one stroke to apply. The bag: we’ve been loving U.S. made bags from Stephanie Dawn, and picked the small cosmetic bag in “Genevieve” pattern. Practical, quilted and comes with a plastic lining so your bronzer spillage is safe from ruining your bags and other make up. The zip closure keeps everything safe and two side loops allow for a quick grab when your on the go. A combo of shape, shimmer, and glow bronzer for a perfect radiant glow for summer. Quick beauty fix: Bronzed summer makeup written by Nadia Hartvigsen.